Rare Diseases And Regulation: What Is Needed To Educate Medical Experts, Patients? When diseases are very rare, the patients enduring them — or, in many cases, their parents — often know more about the diseases than any experts they consult. This situation leads to several serious problems that impact patients and the research community. Fortunately, there are reforms that would have tremendous beneficial effects on both rare disease sufferers and the medical community that serves them. Rare diseases vary significantly in terms of how many people they affect. Some affect as many as 200,000 people, and others are so rare that only a handful of people around the world suffer from them. There are only about 400 known treatments now available for more than 7,000 distinct rare diseases — and more which are as yet unknown. Although biotech and pharmaceutical companies have made important progress in drug research and development, thanks to the U.S. Orphan Drug Act, the clear discrepancy between the number of diseases needing treatment and the existing available treatments highlights just how much more work needs to be done. The rarity of these diseases means that few healthcare professionals recognize them. Indeed, many patients and their advocates face an uphill battle as they work to achieve acceptance from the expert and medical communities. There are many examples of this phenomenon, but take the case of Bertrand Might and his parents, Matt and Cristina. Bertrand was born in 2007, and by the time he was 15 months old, his parents knew he was different. In fact, he appeared to be one of a kind — the only person with his genetic disorder — until enough searching led to their discovery of others. One issue his parents experienced in this case was that medical practitioners, upon determining they could not diagnose Bertrand, chose not to continue collaborating with Matt and Cristina. 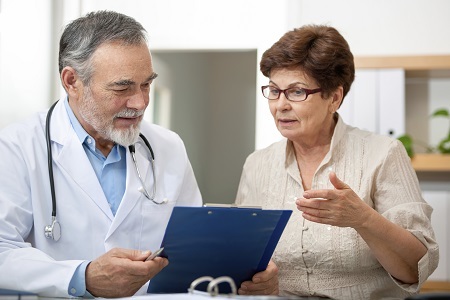 However, even when patients and caretakers are able to access all information available, they may lack the training to have full insight into its meaning. Similarly, because the current research climate favors the investigation of better-known diseases, existing research may hold no answers for them. It also means that even when families do possess the fruits of the increasingly-important genomic sequencing, for example, there may be few experts (if any) working on that particular disorder. Therefore, the burden then stays on the families to engage medical support. The end result is that patients suffering from rare diseases are often delayed in receiving appropriate treatment as they manage the above-cited problems. Once they have managed them to the best of their capabilities, the available treatment is likely to be limited and only marginally effective. The nature of these problems suggests several regulatory reforms that will be essential to the rare disease community — a community that may include 10 percent of the world's population — as well as medical professionals. First, patients and their advocates need a community that can educate them, their medical care providers, and the public about their disease. An example of this kind of agent is The European Organisation for Rare Diseases (EURORDIS), a patient-driven non-governmental organization. EUORDIS is a coalition involving patient organizations and ordinary citizens actively working on quality of life for people with rare diseases. The organization serves as the voice of patients in the regulatory process and has made important contributions to the adoption of orphan medicine legislations and other policies crucial to rare disease in Europe. Advocacy groups like EURORDIS can help patients and families get involved in the regulation of orphan drugs, advanced therapies, and patients' rights. They can also partner with many healthcare professionals and advocacy groups focusing on many different rare diseases, serving as a conduit and focal point for organization. Second, the patient group needs to be able to advocate on its own behalf. To do this they need to be taught how to navigate the regulatory system, and they need the assistance of those working in it. Again, this is why advocacy groups are so essential. Medical professionals must assist in this process, along with the research and intellectual property communities. Third, the ability of laypeople, healthcare providers, and individual researchers to access medical research in meaningful ways must be assured and simplified. For example, The American College of Medicine Genetics and the American Medical Association have officially discouraged direct to consumer (DTC) genetic testing. These organizations argue that genetic test results can only be properly assessed by medical professionals. Indeed, misunderstood results can lead to poor choices on the part of patients. However, for patients and families with rare diseases, access to research information can be tantamount to salvation. In some cases, patients participate in studies in order to help save their own lives, but cannot access any information garnered from the research. Meaningful access must be considered a right of the patient. Finally, the overall structure of the research community must change to prevent the siloing of crucial information about rare diseases. This goes back to a strategic, forceful pushback against data siloing. The “silo mentality” is dominant in business and many other areas, but it can be fatal in medicine and research. Existing intellectual property and patent laws must be reformed in order to discourage this silo mentality. These changes, if implemented, will improve the ability to fund more targeted and effective research. How Could Reform Impact Medical Professionals? One of the obvious answers is that the experts planning, running, and outsourcing clinical trials would need to approach them in slightly different ways. Specifically, they would need to plan to allow participants to access their own data. The Expert Advisory Group on Data Access (EAGDA) of the Wellcome Trust recently released findings on this issue. Led by Professor Martin Bobrow, EAGDA has been surveying existing data sharing practices. EAGDA says that data sharing mechanisms must be part of research plans from their outset and recommends that access to research funding should rest in part on workable data-access plans in grant applications. They explain that smaller studies may not have to make any special plans for data sharing processes, but larger studies need formal plans for data-access from the beginning. The EAGDA study references the use of data-access committees (DACs) for data-access management; this is a technique that many genomics researchers use. The advisory group recommends that rather than using a unique process for each study, common forms and processes should be used whenever possible, allowing for the data-access process to be standardized. They also argue for transparency and ease of use for both researchers and participants. Specifically, the EAGDA recommendations include building data sharing into each study's structure at the outset. For example, consent forms from participants should be conducive to data sharing and easily de-identified within a larger, standardized system. Restrictions on data access must be minimal and carefully controlled, and in return, significant breaches of valid restrictions should be taken seriously. To read the entire report, see this link. In other words, there is no need to turn over whatever researchers make of the data; this is the fruit of their labor that needs and merits protection, not the raw data itself. It is relatively easy to make this provision in research studies. Even data from double-blind studies is coded for identification purposes. Release of raw data imposes almost no burden on researchers, especially when compared with the importance of access by patients. Researchers would give participants the option to receive the raw data or not, and to choose who will help them interpret it. All of this is ethically sound and improves the informed consent process. Data access is feasible from a technical standpoint thanks to web-based communication and information technologies; in fact, it is relatively cost-effective and accessible in many cases. The key breakthrough will be to design research repositories with not only research but also access in mind. This would be most challenging for researchers who may use the same data in multiple different areas of commercial and scientific innovation. Of course, open access databases like that of the Personal Genome Project provide an alternative model that works and is fair and accessible. When open access is not an option, designing the database to make data sharing possible will be a central concern. Note that many participants may never access their data, or they may not want to pay the costs of having it analyzed. However, in this context, it is the access and choice that matter to patients and to the future of fighting rare diseases more effectively. Researchers and other experts can contribute to, shape, and benefit from some of these reforms. Ready sharing of medical information and improved advocacy for patients with rare diseases may well mean more participants in the drug development and clinical research processes. Similarly, the presence of high-quality advocacy groups, such as EURORDIS, can make life easier for practitioners by connecting them with their colleagues doing similar work elsewhere in the world or by introducing them to ideal research subjects. When patients and families suffering from rare diseases know more than most medical professionals they interact with, the situation isn't ideal for anyone. Relatively simple regulatory reforms in this area will ultimately benefit both patients and the scientific community. Additionally, by reforming the status quo, we can collectively ensure that our research and medical community is operating in the most bioethically sound way possible.